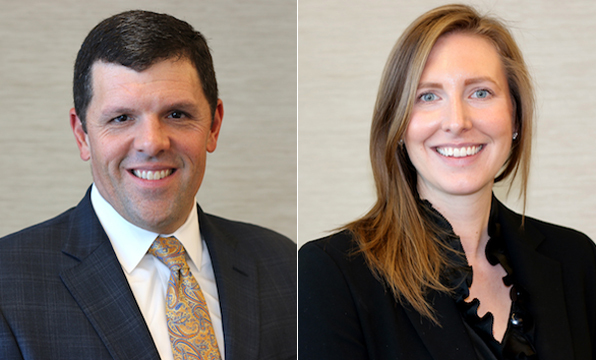 ARLINGTON, Va. — The National Association of Chain Drug Stores has appointed William Tighe as vice president of federal government affairs and Amber Manko as director of federal government affairs. Tighe reports to Tom O’Donnell, NACDS’ senior vice president of government affairs and public policy. He began his new position with NACDS on December 12. Manko started with NACDS on November 28 and will report to Tighe. Tighe brings extensive legislative experience to NACDS. He most recently served as chief of staff for Rep. Tom Marino (R., Pa.), chairman of the House Subcommittee on Regulatory Reform, Commercial and Antitrust Law. Previously, Tighe was chief of staff for former Rep. Jim Gerlach (R., Pa.), where he held progressively responsible leadership roles, and for former Rep. George Gekas (R., Pa.). Tighe received his Bachelor of Arts degree from Bucknell University in Pennsylvania and a Master of Public Policy from George Mason School of Public Policy in Virginia. He is a member of several professional associations, including Republicans Associated for Mutual Support (RAMS) and the House Chiefs of Staff Association. Manko most recently served as director of federal affairs at CAPG, a trade association focused on helping physician groups improve health care delivery and patient outcomes. She has also worked with congressional leaders on key Medicare and health care issues and has served as a director of federal affairs and political programs at America’s Health Insurance Plans (AHIP), where she advocated in Congress on health care issues, including the Affordable Care Act.